PUMA revealed a special collaboration with two renowned Italian labels – LC23 and BACKDOOR. 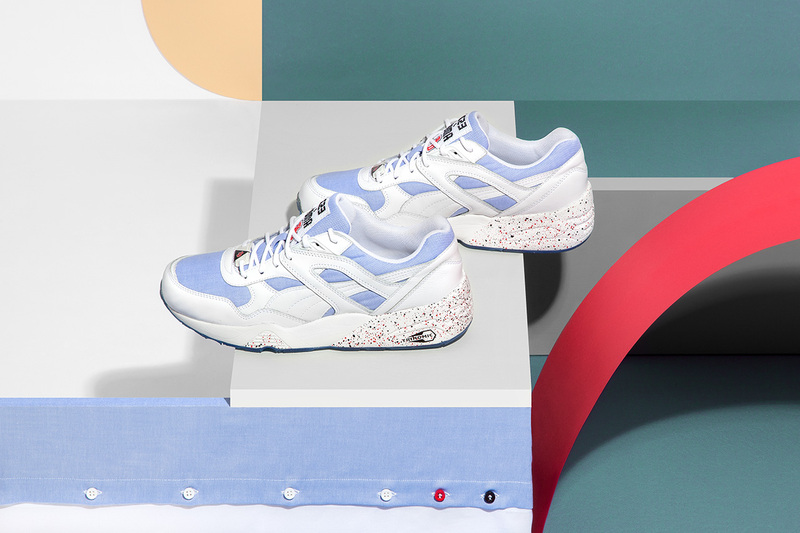 Dedicated to true footwear connoisseurs this Made in Italy release uses the finest materials and craftsmanship for a refined take on PUMA’s running classic – the R698. The PUMA ‘Made in Italy’ R698 remains true to the original silhouette and is enriched with material elaborations. 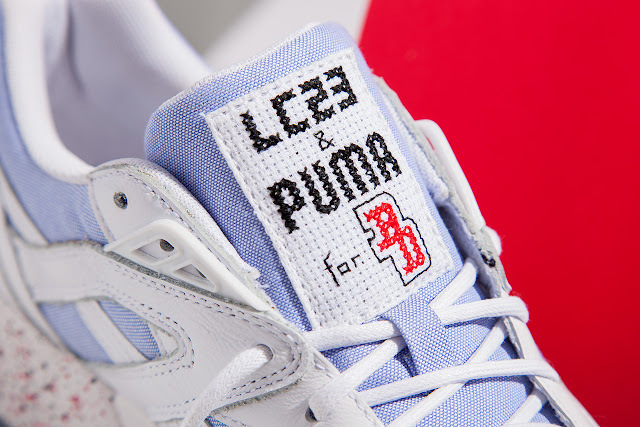 LC23 founder Leo Colacicco worked with PUMA designers to incorporate a soft premium textile material, typical of their Italian Oxford shirts. BACKDOOR decked out the midsole with the brand’s colours, finished off with their stamp on the Trinomic logo that fastens the laces. A hand-sewn label on the tongue represents the triple collaboration. LC23 was founded in 2011 by Leo Colacicco, an industrial engineer with a weakness for fashion who started the label sourcing handmade apparel from his hometown in Apulia, southern Italy. BACKDOOR is a sneaker concept store in Bologna started in 2007 by Marco Evangelisti and Jacopo Pozzati. The store is one of Italy’s foremost resources for fashion, lifestyle and contemporary brands. 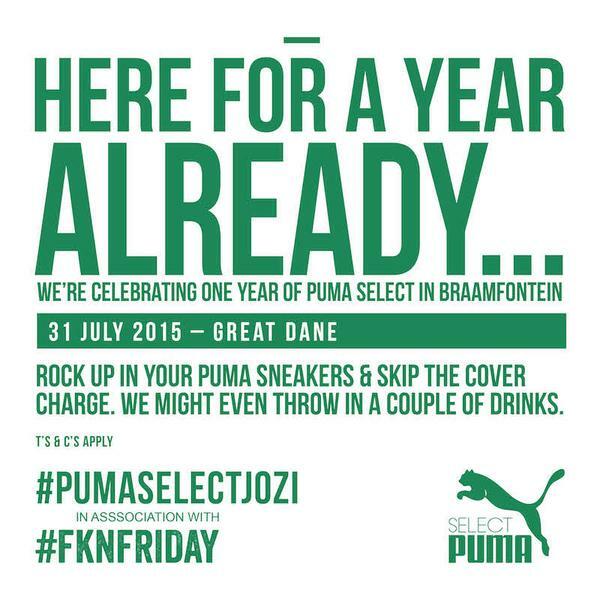 The PUMA ‘Made in Italy’ R698 will retail for R1 799 and are exclusively at Shelflife from 30 July 2015. Durban has made fashion its business and has invested at least R20 million in the Durban Fashion Fair (DFF), making it the only city in South Africa to own its own fashion week and brand. Speaking at the official opening of the Durban Fashion Fair 2015 at the Suncoast Hotel on July 16, Deputy Mayor of eThekwini, Nomvuzo Shabalala, said that the DFF that is due to take place between August 26 and 29, on the SUNdeck at Suncoast, went way beyond glamour. Although showcased by a glittering four day event, it was not as much about the runway as it was about revitalising the textile and clothing industry itself within the city. It was about giving newcomers to the industry and opportunity to showcase their work but also to help them create sustainable small businesses. “We believe fashion is one of the job creators. One designer cannot work alone. That’s why each designer is a wealth creator,” she said. As the city celebrated the talent and creations of some of the big names in South African fashion, it also welcomed the opportunity to help develop the many talents that would make up the next generation of designers. "For us, this is definitely not just about fashion shows. 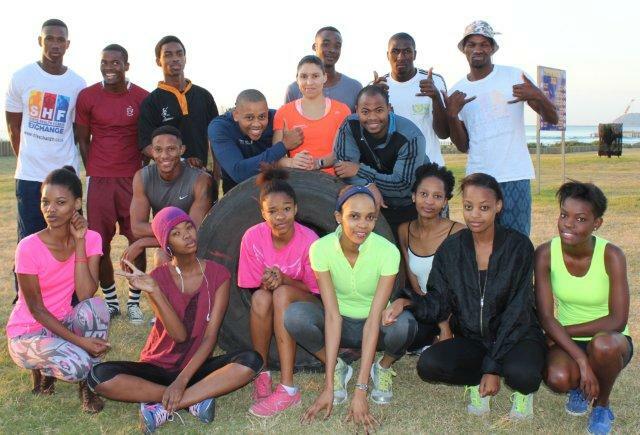 It is about developing young talent through fashion and reviving the clothing and textile industry in the city. We have come up with something different - a touch of Africa, exciting home grown designs and concepts," she said. This year's DFF will be preceded by a Fashion Development Programme that includes a mentorship programme enabling 20 up-and coming new designers to learn from the city's fashion gurus. Of these, 10 will be selected for a two month long internship in Milan where they will attend two international fashion shows, buyers' fairs and even art exhibitions. This is aimed at enabling them to experience a culture of fashion that is far more than skin deep. Shabalala said that the young interns had an opportunity to learn about the global fashion world whilst also discovering the importance of sound business skills and related issues such as brand development and brand recognition. "Italy is one of the countries that has been able to sustain its economy through its clothing and textile industry," she pointed out, looking to a bigger picture that would enable the fashion and related clothing and textile industries to again become major contributors to the city's economic growth. With a heart for community development, Shabalala said she believed that the city needed to invest in its youth in order to develop a sustainable economy. Fashion could be a job creator and skills developer in a country and region where youth unemployment was amongst the highest in the world. She added that she believed that we needed to rediscover the skills that had been mothballed when factories closed during the eighties and nineties and ensure that not only were these passed to the next generation but that the youth attained the additional skills needed to make their mark in the modern day industry. Shabalala said that Durban needed to move beyond its past when the local industry had buckled under competition from cheap imports from China. "We believe that has compromised the quality of the garments sold in chain stores across the city. We also believe that if good clothing can be produced locally, we can begin to revive the sector." This vision was integral to the DFF from its earliest days. What started out as a small component of the Durban Business Fair 17 years ago, has taken on an identity of its own. She credited Sindi Shangase, the Programme Manager for the Business Support Tourism and Markets Unit, with the massive growth and vision that has emerged over the past three years. 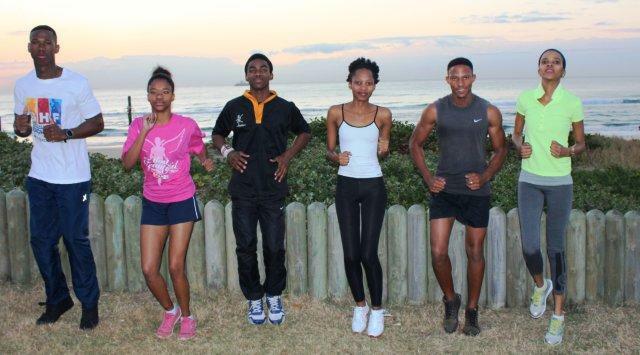 "I have seen it start as a single evening at the Coast of Dreams and grow to be spread over a number of evenings at the Durban Exhibition Centre - and I believe that this year's event will be even bigger," she said. Three years ago, 30 designers participated in the DFF. This year, in addition to the 20 emerging designers who will be competing for internships to Milan, the 10 interns who have returned to Milan together with big names in the fashion industry will show designs at the DFF. The response to this year's DFF has been such that there is a long waiting list of designers wanting to take part. It will also be the longest Fashion Fair to date, taking place over four days. 2015 had also seen growth in international support for the DFF, especially from across the continent. African countries represented at this year's DFF include Nigeria, Ghana, Zambia, Malawi and Cameroon. 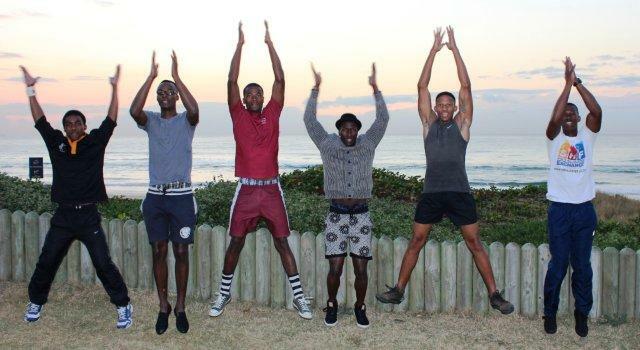 This provided an important opportunity to forge lasting relationships and move beyond the recent xenophobic incidents that shook the city of Durban, said Shabalala. She added that a great deal of support had also been solicited through the sister cities programme and noted that, globally, there were a lot of major centres from which Durban could learn. Another major milestone for this year's DFF has been the inclusion of Gelvenor Textiles as a sponsor. One of very few remaining success stories in the local textile industry, she said that participating in the DFF had effectively taken the company out of its comfort zone through challenging young designers to adapt fabrics that had been developed for use in the industrial, aeronautical, outdoor, technical and protective clothing sectors, for use in mainstream fashion. At things stand, local designers and the small number of cut, make and trim operations that still operate in the city rely almost solely on imported fabrics - something that Shabalala would like to see change. "We need fabric to be manufactured locally so it can be less expensive and more accessible. We used to export textiles. The clothing and textile industry had a big presence in New Germany, Hammarsdale and Clairwood. What happened to those factories? Where did all the people and the skills go that we could use to revive it?" She said that as part of its commitment to reviving the clothing and textile sector in Durban, the city has also brought on board a research team to look closely at the demise of the local industry and determine a new path forwards. Results of this study are expected by year end. 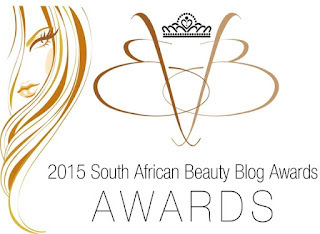 South African Beauty Bloggers have never been formally recognised for their important role in helping to educate South African consumers on the new products that are available on the market, as well as their pro's and cons, based on their personal experiences with using them. 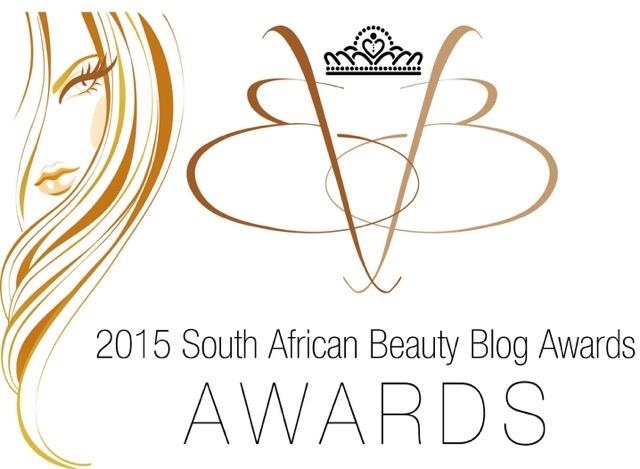 After the success of the Irish Beauty Blog Awards run by Noelle O’connor, the creator of TanOrganic, which not only acknowledged top bloggers and created awareness around leading beauty brands but also raised awareness and much needed funds for cancer education for the Irish Breast Cancer Foundation, TanOrganic South Africa took the decision to launch the awards in SA too. The Look Good Feel Better programme is run by the cosmetic industry to help female cancer patients undergoing active treatment, in a practical and positive way by providing free two-hour beauty workshops through a network of hospitals, oncology clinics and interim homes, especially designed to assist these women to manage the appearance related side effects of chemotherapy & radiotherapy - thereby helping to restore their confidence in their appearance & self image. The programme was chosen as the charity for the Beauty Blog Awards owing to their innovative way of educating patients, their families and medical staff on what side effects to expect and easy ways to be proactive about them. TanOrganic supports cancer education and promotes a lifestyle of avoiding sun damage that can lead to cancer. Everyone should be proud to wear something designed in Durban, Deputy Mayor, Councillor Nomvuzo Shabalala, told the vibrant gathering that was toasting the official launch of the Durban Fashion Fair (DFF) 2015 at the Suncoast Towers. Big names in fashion, socialites and fashionistas, politicians, up and coming local designers who have benefitted from previous DFF's and Durban's glitterati all featured on the city's guest list. The glitz and glamour was a perfect accessory to a vibrant fashion show featuring the creations of some of the city's finest designers that was introduced by synchronised swimmers. Words of wisdom and encouragement were given from Zama Mathe the creator of Zarth Designs, as well as the PR Manager for Woolworths, Noni Gaza, local footwear designer, Reggie Xaba and lastly the DFF programme manager, Sindi Shangase. 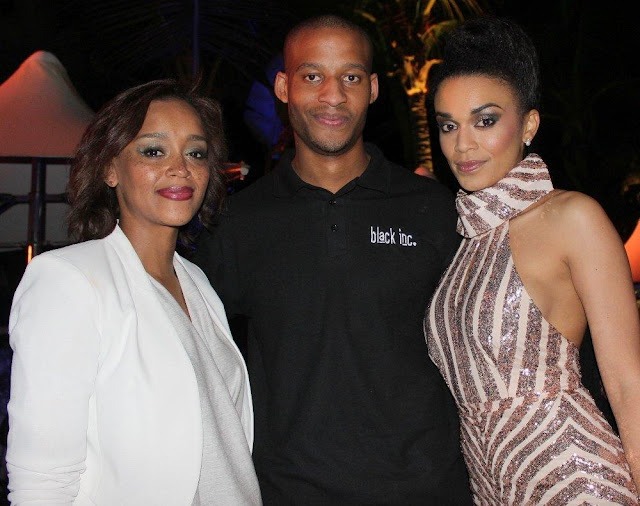 Actress, model and bubbly master of ceremonies, Pearl Thusi, set the scene for the upcoming four day event and an amazing mentorship for 10 new, emerging local designers who can expect a trip to Durban's sister city, Milan. The Durban Fashion Fair will take place on the SUNdeck at Suncoast between August 26 and 29. Tickets available at Computicket from July 24. African Fashion International (AFI) invites you to join in a Twitter Chat led by Ruald Rheeder, who will be showing at this year’s Mercedes-Benz Fashion Week Cape Town (MBFWCT). 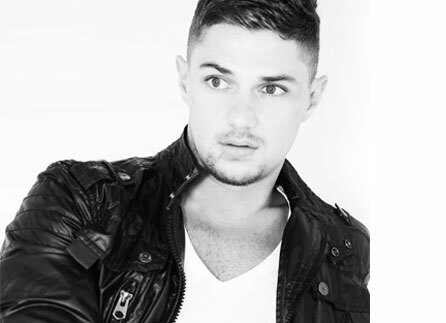 Ruald Rheeder is the South African fashion designer best known for his eponymous label RUALD RHEEDER. He was voted “Best New Designer” in 2012, and today his label has brand presence in 20 stores countrywide and his collections are seen bi-annually on fashion ramps across the African continent. The Twitter Chat will take place on Thursday, 23 July between 12h30 and 13h30 and will be hosted on the @AFI_sa Twitter handle. Join Ruald as he leads this online conversation by enlightening participants on what they can expect from his Spring/Summer collection at this year’s show, what inspired his creations, and a sneak peek behind-the-scenes at one of the most anticipated fashion events of the world. Remember to tweet to @AFI_sa or @Rualdrheeder and using #MBFWCT2015. Global Sports Brand PUMA released the teaser to its highly anticipated AW’15 debut collaboration with SWASH London. This pack includes two iconic PUMA silhouettes, Blaze of Glory and XT2. 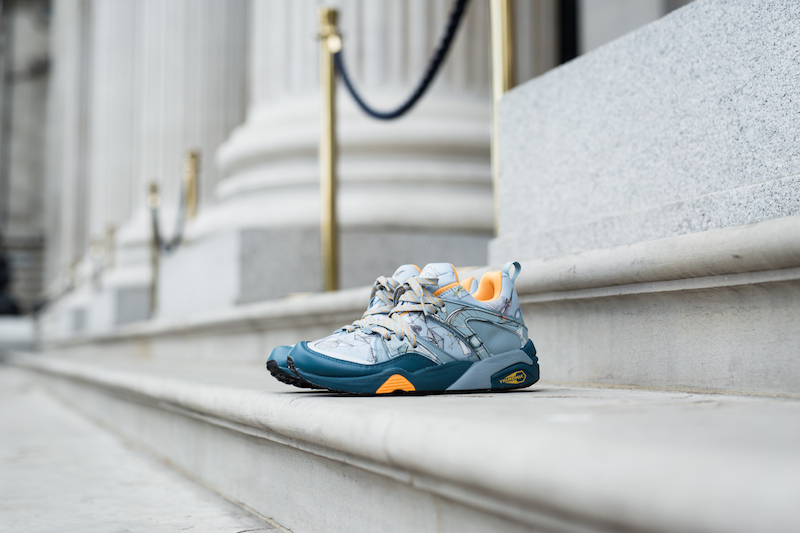 Venturing back into one of the most prominent eras for running sneakers, both the XT2 and Blaze of Glory shot to fame in the 90’s for their distinctive use of the revolutionary PUMA Trinomic technology. 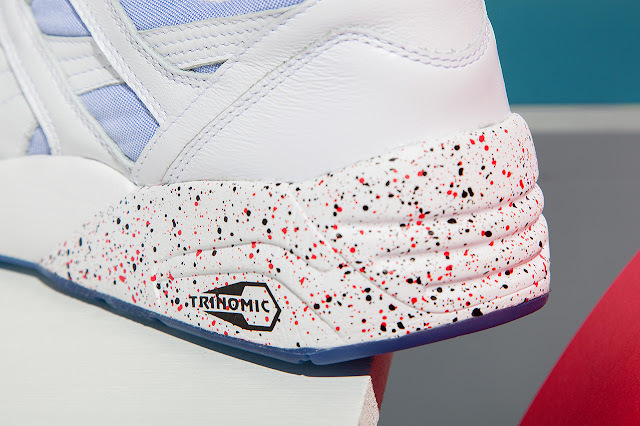 Trinomic changed the scene with its honeycomb cells cushioning before quickly moving from the track to the streets, where the styles were quickly adopted by street style and sneaker scene. The PUMA X SWASH London debut collection enhances the Blaze of Glory and XT2 by infusing these already distinctive silhouettes with SWASH London’s signature print. 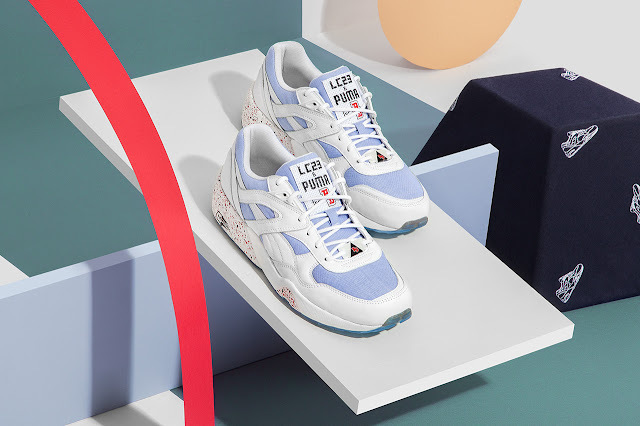 Both styles are decked in bright, bold leather and mesh upper with the piece de resistance being the hand-drawn and painted illustration on the mesh material. Dubbed ORNITHOPTER SUNSET or OS, the original print is inspired by the idea of a great escape in an amazing flying machine, influenced by Otto Lilienthal's early gliders. The collection teases the fashion and sneaker scene, setting the tone for the exciting up and coming PUMA and SWASH London full design collection. 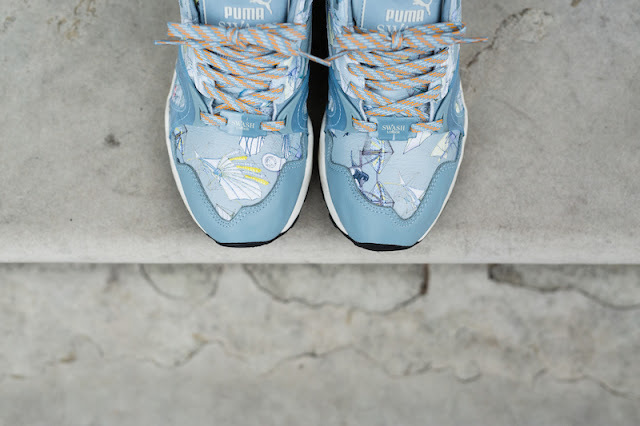 The PUMA x SWASH debut collection will be available Globally this month. 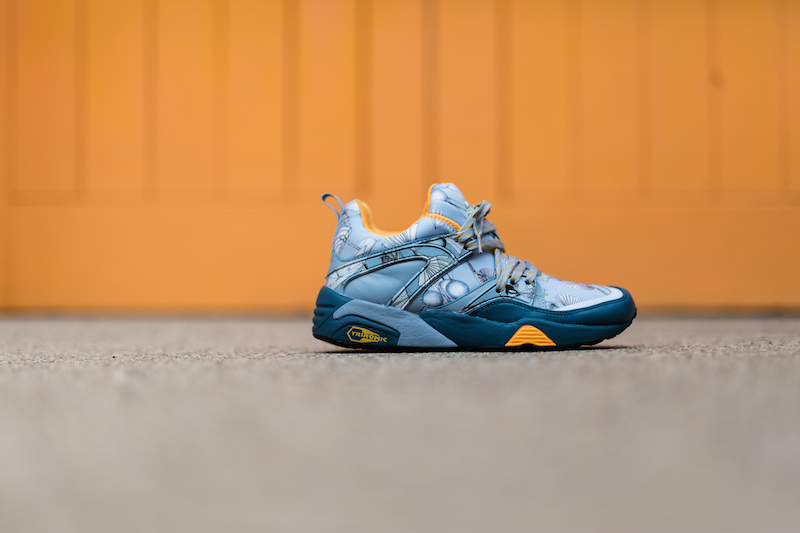 PS: The PUMA x SWASH OS Pack won’t be available in South Africa, however PUMA x SWASH will be available in SELECT stores this year. Having set the pace in 2015 with an intuitive blend of athletics and aesthetics, the adidas Originals Tubular has made an enduring mark in both performance and casual footwear. This season the most progressive silhouette from adidas Originals meets the most advanced Primeknit technology…the result: the Tubular Runner Primeknit Snake Pack. Primeknit technology- a method that digitally knits the entire upper in just one piece- uses knitted fused yarn that fine tunes the exact amount of flexibility and support needed in every part of the shoe. 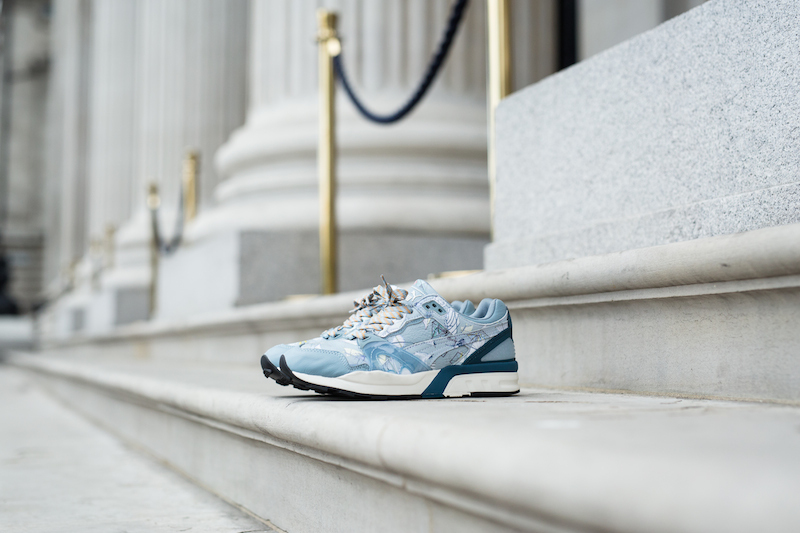 This means lightweight comfort that wraps seamlessly around the foot, whilst fewer materials produce less waste. sRendered in a snake print Primeknit upper, the Tubular Runner’s clean visual language references integral moments in three-stripes innovation history and features technical features that ensure comfort and support for the wearer – a testament to the shoe’s unified form and function. The Tubular Runner’s Primeknit snake pattern is combined with adi Film vacuum melted overlays creating a contemporary look that is ready to take center stage. Released in two colourways, the “Black Carbon” (executed with one piece of a black and grey knit weave) and “Blue Spice” (executed with one piece of light blue and grey knit weave), both these features rest atop the cushy, lightweight Tubular outsole system. The Tubular Runner Primeknit Snake Pack will be available at AREA3 and adidas Originals stores in Canal Walk and V&A Waterfront in Cape Town as well as Menlyn Park Shopping Centre in Pretoria, from 1 July at a recommended retail price of R2299. For more information, visit www.adidas.com/tubular and follow adidas South Africa on Twitter (@adidasZA ) and Instagram (adidasZA ).Join the conversation by using #adidasOriginals and #Tubular.